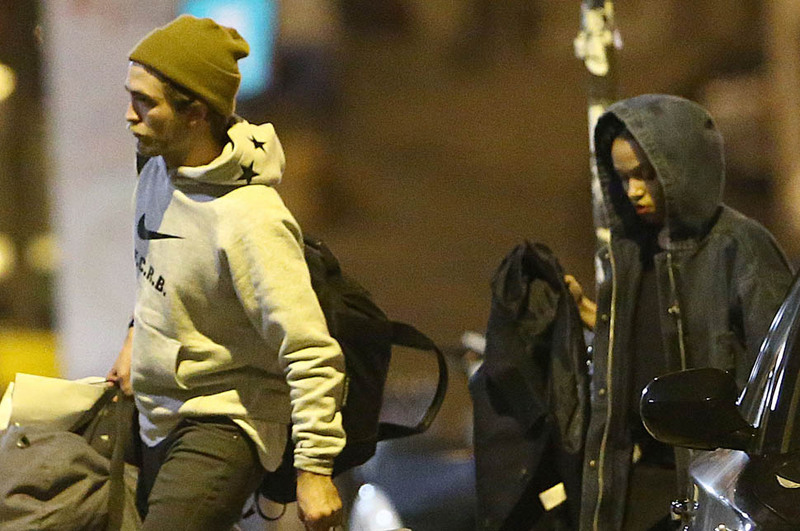 Robert Pattinson and girlfriend FKA twigs were in Paris the other day. He’s joined her on tour. 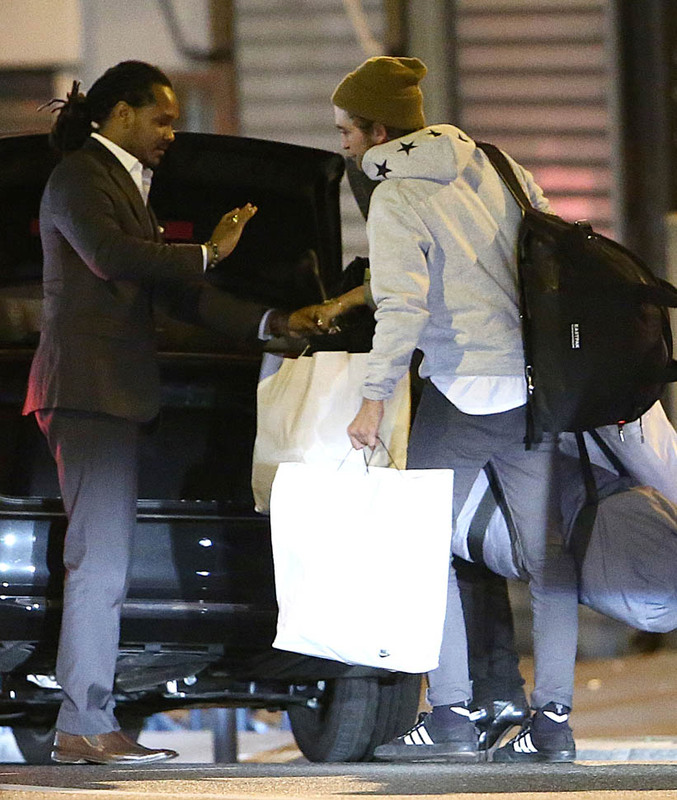 And yesterday they went shopping. I’ve attached photos but the video is better for insight. Two videos are embedded below. Let’s play Video Assumption. I don’t even think it’s Assumption. They’re in that “phase”, non? 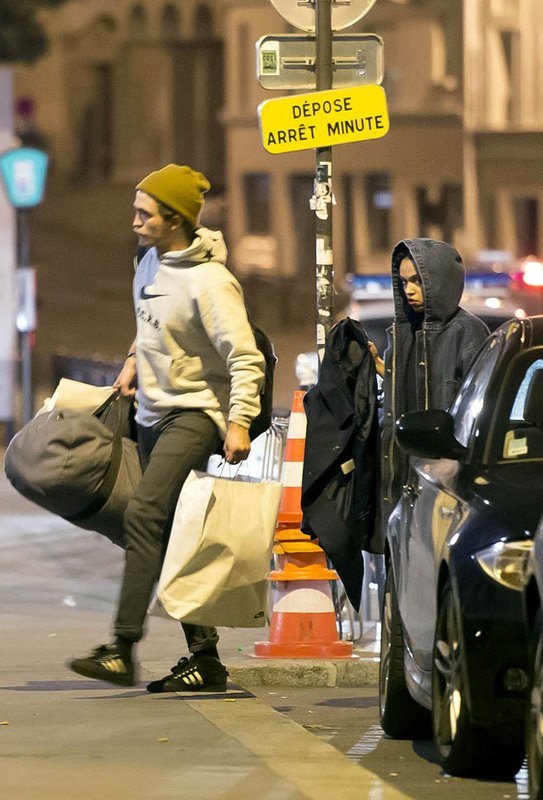 I still have a hard time imagining that Robert Pattinson could handle the “phase” with FKA twigs but maybe that’s the point. Maybe she’s supposed to convince me that he knows what he’s doing. If you’ve been in that phase, you know the phase. It’s the “we can’t stop f-cking” phase. Writers of horny books will try to tell you that that phase can last a lifetime. Real life application and general querying of friends tells me that it typically lasts anywhere from 6 months to 2 years, depending on factors like distance, living arrangement, and disposable income. At the time though, at the time, you believe it’s infinite. Whether it’s the chemicals surging through your brain, or centuries of romance conditioning, in the eye of the lust phase, you think it’s forever. Like Twi-Hards thought it would be forever between Bella-Kristen and Edward-Robert.